Esper Solutions is looking for web application developers for permanent positions who should able to design, develop and maintain web services and web applications. 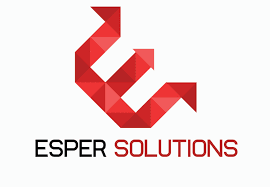 Esper Solutions is a Pakistan-based Software Solutions company providing Image Processing and Machine Learning based customized solutions to clients in both national and international markets. We are looking to hire dedicated full stack developers for our Islamabad office. Detailed description for openings is shared below. Looking for experienced/fresh graduates. Able to Read and Write documentations. 40-70K Per Month Depending on the Skills and Experience.